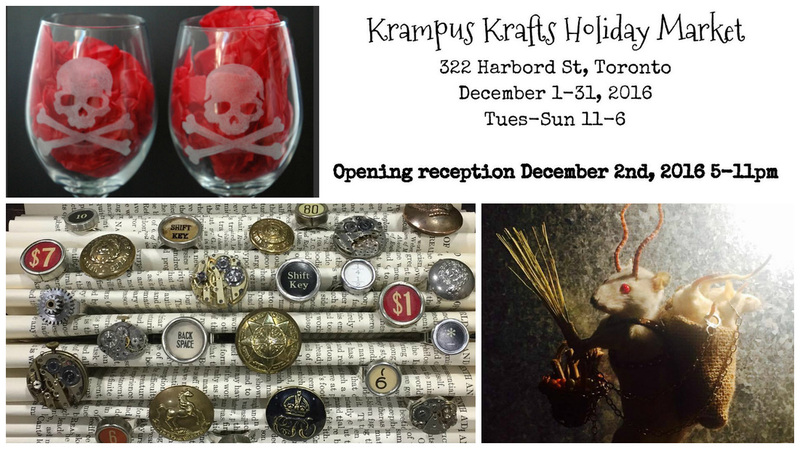 Vintage wearables, dark decor, unique taxidermy pieces and more will be available from these local Toronto artists throughout the holiday shopping season! About Neverwares (www.neverwares.ca): From necklaces and earrings to cufflinks and custom pieces, Neverwares makes the old new again by invoking a sense of nostalgia and showcasing the exceptional craftsmanship of vintage machinery by giving people a wearable piece of history. About The Spider and Fly (www.etsy.com/shop/TheSpiderandFly): The Spider and Fly creates dark decor for the dark at heart, including ceramic mugs, printed cutting boards, ceramic ornaments and other fine housewares. About Teta Kika (www.casualtaxidermy.com): Teta Kika offers unique taxidermy pieces as well as taxidermy classes for those interested in this curious art.